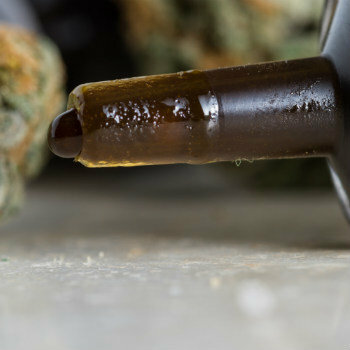 Home > Does CBD Oil Really Help Treat Arthritis Pain? Approximately 54 million adults and 300,000 children in the U.S. have been diagnosed with arthritis or some other type of rheumatic disease causing joint pain according to the Arthritis Foundation (AF). If you consider all of the individuals who have arthritis but have not yet been diagnosed, the AF suggests that the true count is likely closer to 91.2 million in total. To make matters even worse, that number is expected to grow by 49 percent by the year 2040. The most precarious and debilitating symptoms suffered by arthritis patients include pain, stiffness, and decreased movement within the joints, all of which can be severe and worsen over time. In addition, there are other symptoms that are just as troublesome, such as anxiety and depression. Not only that, but it can become especially trying when you have to contend with other medical problems that tend to coexist with arthritis, like heart disease, diabetes, and obesity. Some medications and treatment programs can potentially help ease these negative effects, but many people are searching for a more natural pain relief option. This is where CBD oil comes into play. CBD is short for cannabidiol, which MedlinePlus explains is one of more than 80 chemical cannabinoids found in the marijuana plant Cannabis sativa. 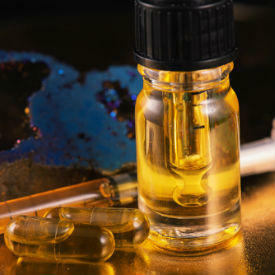 Thus, cannabis oil, or CBD oil as it is more commonly known, is an oil that is developed using this particular compound. Although CBD oil is just now becoming fairly mainstream, largely because of the debates surrounding medical marijuana, cannabis actually has a long history of providing relief in many different countries around the world. In June 2015, National Geographic ran a story about how Siberian burial mounds as far back as 3000 B.C. were found to contain charred cannabis seeds. Cannabis has also been used in Chinese medicine for thousands and thousands of years. The article went on to explain how American use of cannabis goes back to our country’s founding fathers as well. In fact, George Washington himself grew hemp at his plantation estate and the location of his burial, Mount Vernon. 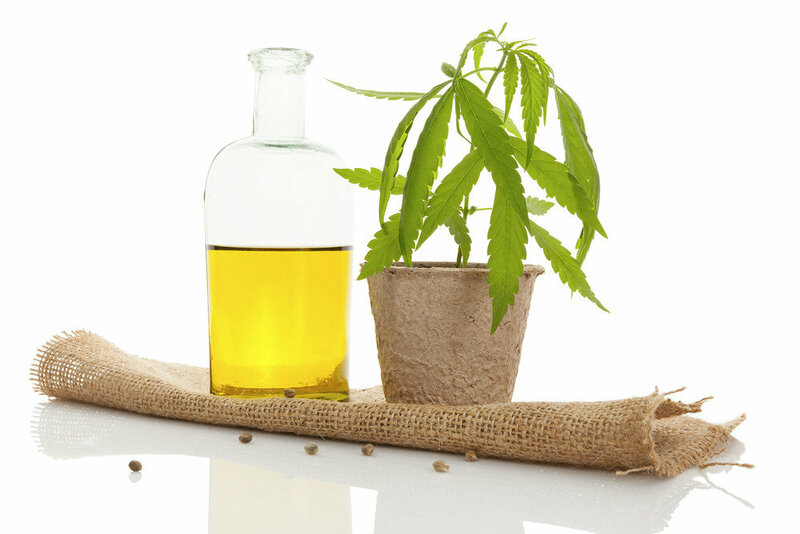 Because of its somewhat tumultuous history marijuana has had with the law (regarding whether it is illegal or not), research on the positive properties of hemp plants’ derivatives such as cannabidiol oil has been extremely limited. This has caused many people to question its use for modern day ailments, primarily because they don’t know a lot about how it works. According to Medical News Today, the body’s endocannabinoid system has two cannabinoid receptors: CB1 and CB2. A majority of CB1 receptors are located in the brain and are associated with cognitive actions related to coordination, mood, thinking, memory, and appetite. The CB2 receptors, on the other hand, can be found in the immune system. This makes them more responsible for the body’s response to pain and inflammation. Tetrahydrocannabinol, or THC, attaches to the CB1 receptors, which explains why smoking or otherwise ingesting marijuana affects users on a cognitive level. However, CBD impacts the CB2 receptors. And it does so indirectly, not by attaching to the CB2 receptor, but by enticing the body to make more of its own cannabinoids. This creates a positive effect on the body’s pain and inflammation responses. Many studies have been conducted on CBD and found that this compound offers individuals diagnosed with arthritis several potential benefits. One of the primary CBD oil benefits for arthritis sufferers is its positive effect on pain, and research confirms it. A study published in the journal Pain in December 2017 analyzed whether CBD could prevent osteoarthritis pain and joint neuropathy. Based on their findings, researchers affirmed that it did both because it decreased joint inflammation and served as a protectant to the nerves. CBD oil has been found to relieve other chronic pains as well. For instance, research published in Therapeutics and Clinical Risk Management indicates that cannabinoids have been helpful with easing pain for individuals diagnosed with conditions such as multiple sclerosis and cancer. Other studies have reported positive effects for individuals taking CBD to ease their fibromyalgia pain, many of whom only experienced mild side effects from this chemical compound, such as dry mouth, drowsiness, and dizziness. CBD oil has also been linked to a variety of mental health benefits, such as a reduction in anxiety. Research suggests that it is so effective in this regard that it has “considerable potential as a treatment for multiple anxiety disorders.” One study published in The Permanente Journal even found that CBD oil can help reduce anxiety in young children. Although CBD oil has a number of potential benefits, one of the top questions that individuals diagnosed with rheumatoid arthritis have is whether or not it is legal. Answering this question requires some understanding of certain components of the marijuana plant. The compound in the cannabis plant that is most well-known is THC. This is the chemical responsible for marijuana’s notorious high. However, unlike THC, CBD does not have psychoactive properties. This means that it does not create the same effect that one normally gets when smoking, inhaling, or otherwise ingesting marijuana. Furthermore, the U.S. Drug Enforcement Administration (DEA) says that it is the THC that makes marijuana illegal in a number of different states. As a result, the answer to “Is CBD oil legal?” isn’t quite so clear. Originally, marijuana use and sales became illegal under the Marijuana Tax Act of 1937, with this illegality continuing under the Controlled Substances Act. Yet, since then, several states have taken the steps to legalize this drug, even if just for use as medical cannabis. For instance, some states allow the consumption of marijuana and its extracts only for medical reasons, which makes a medical marijuana card necessary for its use. Some states have approved this drug and its components for recreational use as well. To make matters more complex, on December 14, 2016, the DEA issued a Final Rule that created a new code number (7350) designed to cover “any material, compound, mixture, or preparation” surrounding the marijuana plant. Upon clarification of this new code, the DEA indicated that CBD extracts that contains even small amounts of other cannabinoids would still fall under the old code, making them illegal under federal rule. However, CBD extracts that contain no other cannabinoids would fall under the new code, where they could potentially be legal to use. Plus, some CBD oils are derived from hemp, the fiber of the cannabis plant. Though the 2014 Farm Bill declared certain hemp cultivation practices legal, muddying the legal waters even more, the president signed the new Farm Bill into law in December 2018, effectively legalizing hemp under federal law. What does all of this mean in real-life terms? In short, to determine whether a CBD oil or any other CBD product is legal or illegal depends on a multitude of factors. Your geographical location, local laws, and whether there are any other cannabinoids in the extract must all be taken into consideration before arriving at a final answer. Another potential risk of CBD is that it can cause drowsiness. Therefore, if you’re taking supplements or medications to help you sleep, CBD could enhance these effects even more. It’s important to keep this in mind if you’re performing activities that require maximum alertness, such as driving or operating heavy machinery. 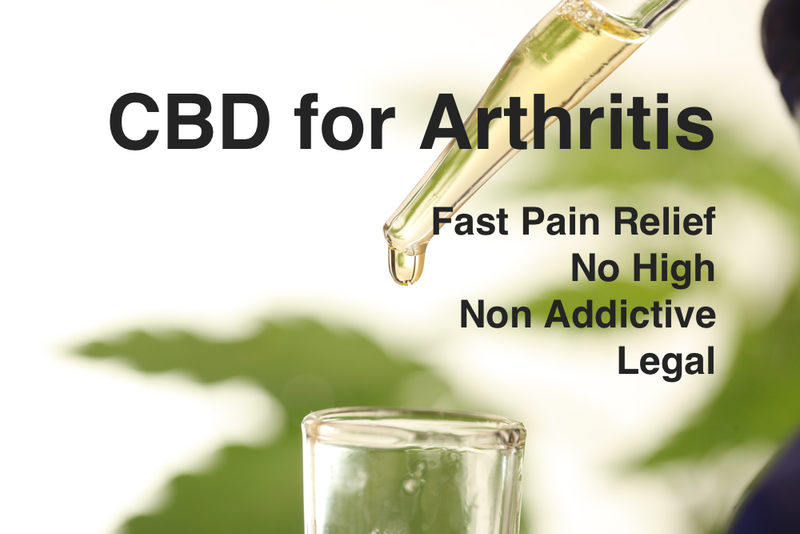 If you’d like to use CBD oil to help ease your arthritis pain, you may be wondering how much to administer or apply. However, when talking about proper CBD dosing, it’s important to first understand bioavailability. Bioavailability is defined as the “amount of a substance that becomes available (reaches the target organ or system circulation) to an organism’s body for bioactivity when introduced through ingestion, inhalation, injection, or skin contact.” In short, it is how much of the substance your body can effectively use based on the type and route taken. An article published in the journal Nurse Prescribing explains that first-pass metabolism occurs in the gut or the liver and is when some of the drug is destroyed before it is able to be circulated around the body. Thus, based on the research above, taking CBD oil in pill form may mean that your body only receives as little as 6 percent of the CBD. Because CBD is so new, Medscape recommends that users “start low, go slow.” This enables you to see how well your body responds without giving it more than the necessary amount. Plus, there are no government regulations regarding the manufacture and sale of CBD, so you never know if you’re getting the amount actually listed on the label. This makes erring on the side of caution even more important. Consumer Health Digest (CHD) researched products on the web and, according to this guide, the three most important terms to know before purchasing your CBD oil are CBD volume, hemp oil volume, and CBD concentration. The second and third are the most critical, according to CHD, because they indicate the oil’s potency. The one you choose will depend largely on the location and severity of your pain. If you want to target a specific area, an oil or oil topical may be the best. However, if the pain is all over, then a tincture or dietary supplement may provide the most relief. Also, if you’re new to using CBD oil, we recommend you start with 10 milligrams per day to establish a safe, effective amount for you. Most of our RA colleagues end up getting relief when they take 20mg of full spectrum lab grade CBD tincture under the tongue twice per day. It’s important to hold it there for at least 60 seconds. Others with more severe pain go as high as 80mg twice or more per day to get full relief. Where to Buy Lab Grade CBD Oil and Topical CBD Cream? There has been an explosion of new CBD products hitting the market in the past year. We’re seeing reports of many of them having far less CBD than they report or even including no CBD at all. Worse some have even failed testing for pesticides and dangerous bacteria. The FDA seems to be ramping up enforcement to tackle this problem. We tested dozens of products amongst our staff, and through our network of RA readers and found Spruce CBD to be the most effective. 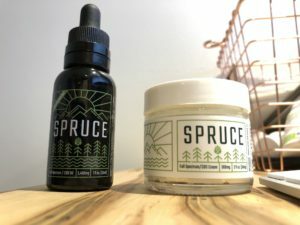 Spruce Natural Labs is a 100% US grown, tested, and bottled company dedicated to producing the highest quality, lab grade CBD products aimed at getting the maximum effect. Spruce only sells full spectrum CBD oil tinctures in a 750mg and extra strength 2,400mg for people with the worst pain needs. No gummies, no capsules, and no CBD isolate which the founders tell us “has a low rate of success for most people”. It is important to note that Spruce products do contain the legal limit of no more than 0.3% THC which means you do run a risk of possibly testing positive if you take a marijuana drug test. You should probably avoid it if you will be drug tested. Our best results came from taking both the CBD oil under the tongue while at the same time applying the CBD cream directly to the joints in pain. *** As always, discuss with your healthcare provider before starting any new medications or supplements to ensure that there are no interactions with your current medication and treatment regimens.